The Toyota Tacoma has been dominating the mid-size pickup truck segment for years and doesn’t show any sign of relenting, especially with the 2017 model. 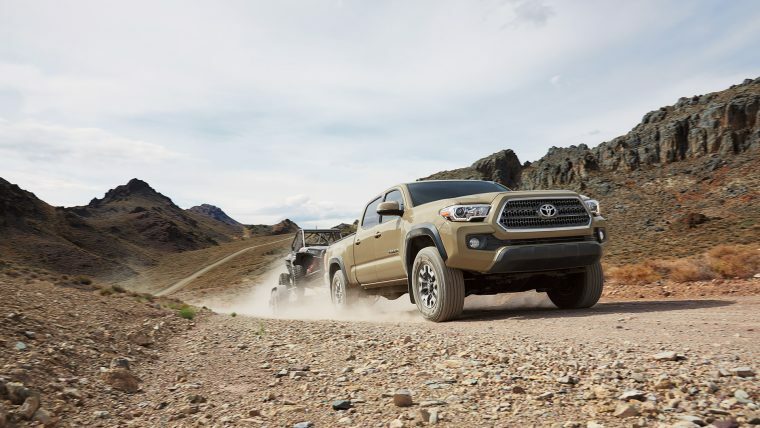 It combines an efficient V6 engine with a truck bed full of useful cargo-management features, and though it was no slouch before, a new TRD Pro trim promises to make the 2017 Toyota Tacoma even more of a blast when carving roads in the dirt or sand. The 2017 Toyota Tacoma marks the launch of the a new TRD Off-Road package as well as the new-generation TRD Pro trim, both of which are designed to enhance the Tacoma’s prowess off the beaten path. 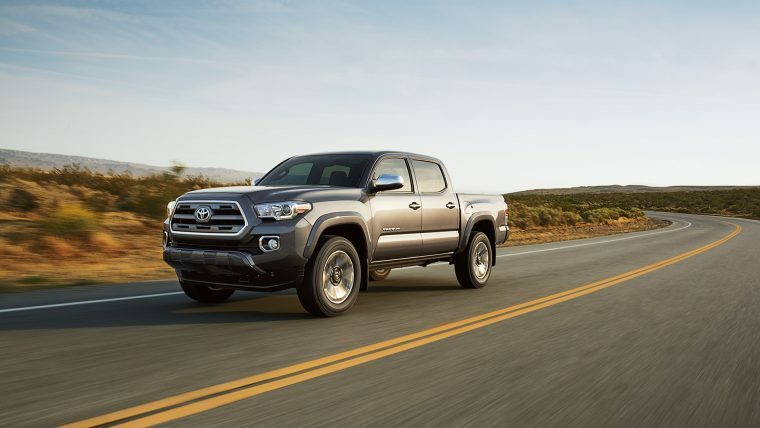 The Tacoma remains otherwise unchanged save for a few visual tweaks and a few additional comfort features inside. The 2017 Toyota Tacoma is offered in six trims: SR, SR5, TRD Sport, TRD Off-Road, Limited, and TRD Pro. All trims are offered with both access cab and double cab configurations, as well with either rear-wheel-drive (RWD) or four-wheel-drive (4WD). 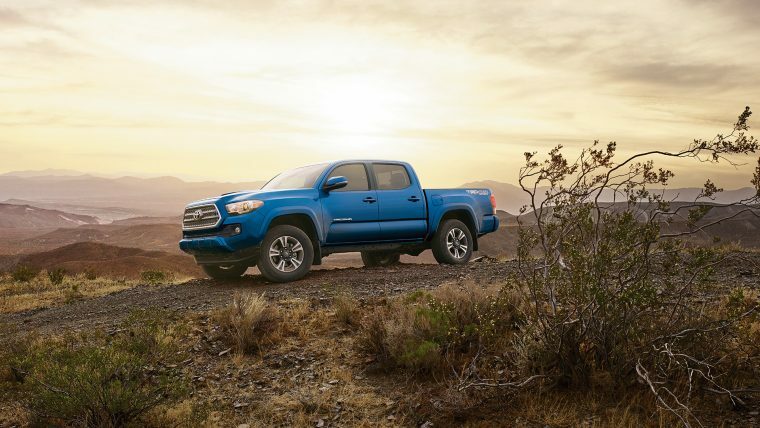 After the big visual change that came with the 2016 model, the 2017 Toyota Tacoma is mostly unchanged. 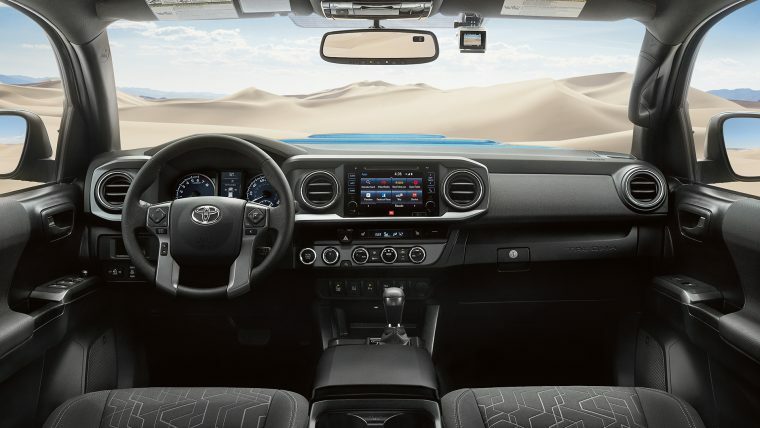 Its exterior design is more inspired by Toyota‘s off-road race history than from past trucks and new styling cues like LED daytime running lights help it stand out in the street. Each of the different trim levels get a different front-end styling, the suspension is raised for more ground clearance, and the composite-lined bed can hold a good chunk of cargo thanks to its depth. The 2017 Toyota Tacoma also comes with a standard lockable damped tailgate and available tri-fold hard tonneau cover, making it easier to protect whatever you might be storing in the back—whether it’s from the elements or from ne’er-do-wells. Color choices include Blazing Blue Pearl, Super White, Silver Sky Metallic, Magnetic Gray Metallic, Black, Barcelona Red Metallic, Quicksand, Inferno, and Cement. The 2017 Toyota Tacoma is powered a 2.7-liter four-cylinder engine that makes 159 horsepower and 180 lb-ft of torque or a 3.5-liter V6 that makes 278 horsepower and 265 lb-ft of torque. Power goes to the rear wheels via a six-speed electronically-controlled automatic transmission. A six-speed manual is available but only on the four-wheel-drive models. When properly equipped, the 2017 Toyota Tacoma can tow up to 6,800 pounds. The 2017 Toyota Tacoma’s efficiency varies in small degrees depending on your configuration. At the lowest end, the 3.5-liter V6 4WD manual gets 17 mpg in the city and 21 mpg on the highway. Surprisingly, the 2.7-liter four-cylinder doesn’t claim the best efficiency numbers with any combination of power delivery and transmission—that claim goes to the 3.5-liter RWD automatic, which gets 19 mpg in the city and 24 mpg on the highway. The 2017 Toyota Tacoma boasts a modern and refined interior packed with high-quality materials and cool available features, like the multi-information display and moonroof. 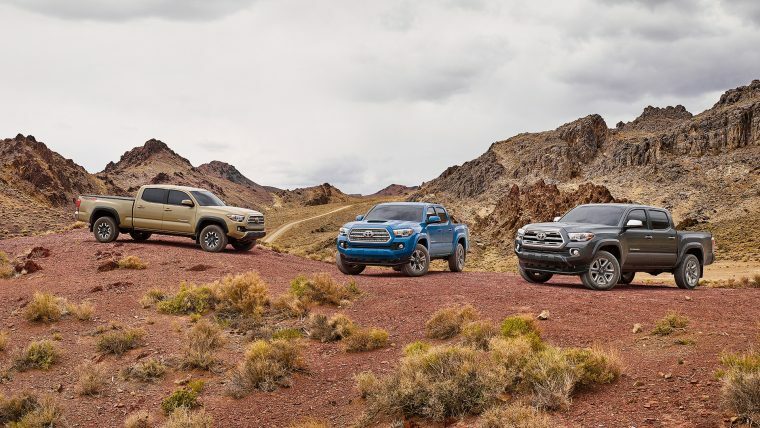 In fact, the Toyota Tacoma is notable for offering a good deal of standard equipment that you might not find even on comparatively-priced sedans, and would certainly not expect in an off-road-focused pickup truck. 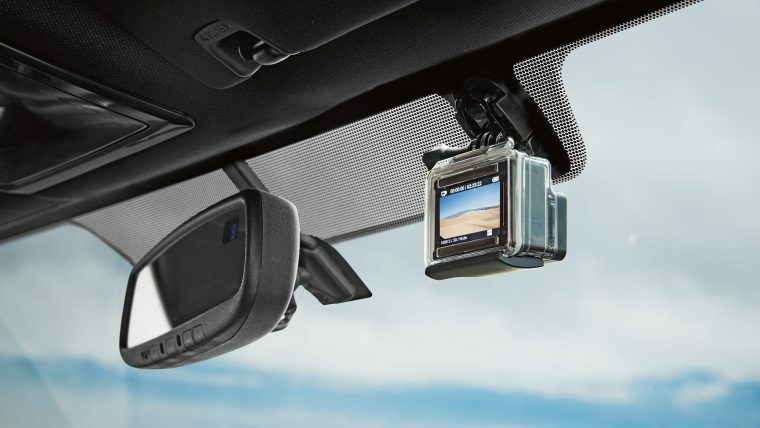 The overall design is simple but useful, thanks to features like the GoPro camera mount that is standard on all trims, making it possible to record and share all of your adventures. The 2017 Toyota Tacoma comes standard with various front, knee, and side-curtain airbags to keep its occupants safe in the event of a crash. 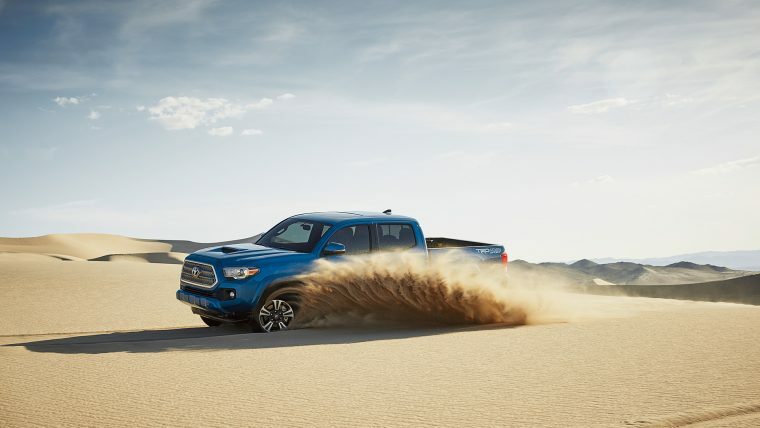 To help prevent the latter from happening, it is also equipped with traction and stability control as well as antilock brakes with brake assist, though curiously the Tacoma still uses drum brakes at the rear rather than discs. The 2017 Toyota Tacoma received a four-star rating for overall safety in the NHTSA’s crash tests and the 2016 model earned the highest rating of “Good” in both the IIHS’s side and moderate overlap front crash tests.